SnapLock® Industries, the manufacturer of RaceDeck® garage flooring introduces their multi-patented ShockTower® Technology to the RaceDeck Garage Flooring product line. The ShockTower® patented system incorporates eight independent shock absorbers, or ShockTowers, per square foot to attenuate sound and reduce stress on joints and muscles. 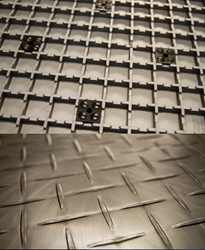 This modular floor system is manufactured with TWO distinctly different materials molded into ONE floor. 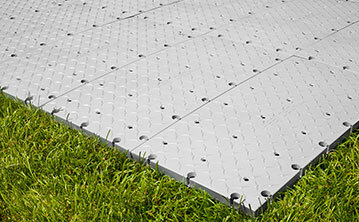 ShockTower technology was first introduced nearly six years ago for the modular sports flooring line SnapSports®. Since that time, ShockTower revolutionized the modular sports flooring world and SnapSports has emerged as the industry champion. “Our engineers spent a lot of time developing ShockTower for the harsh garage environment and they hit it out of the park on this one,” said Jorgen Moller, CEO SnapLock® Industries. 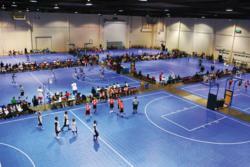 SnapSports will deliver over 110,000ft² of premium Basketball Surfacing for the “ All Under One Roof ” Big Mountain Jam Tournament to be held June 27-29, 2013, in Salt Lake City, UT at the South Towne Expo Center. For the first time, the AAU ‘Jam On It/All Under One Roof’ organization will run the Big Mountain Jam Tournament in conjunction with SnapSports. All athletes will compete on 23 SnapSports multi-patented basketball courts, featuring the revolutionary ShockTower® Shock Absorption Technology. This improves performance and eases impact to players’ joints and limbs during aggressive play. Big Mountain Jam, an annual AAU sanctioned tournament, now partnered with SnapSports and presented by the ‘Jam On It/All Under One Roof’ organization, has experienced exponential growth over several years and is now one of the leading AAU Basketball Tournaments in the country. With over 400 teams and an expected attendance of 15,000 people, this event experiences explosive growth and is expected to continue to rise in years to come. “Over the past several years, SnapSports has had the opportunity to participate in this event, as the Official Sports Surfacing. We are very excited to increase our involvement and co-host this year’s tournament with the ‘Jam On It’ Organization, one of the premier event organizers in the country. We hope to continue our involvement and build this growing event in the years to come.” – Jorgen Moller, CEO, SnapSports, Inc.
SnapSports is the world’s leading manufacturer and provider of backyard courts and indoor multi-sport surfaces. Their multi-patented products are engineered with safety and performance in mind, to deliver superior traction, consistent ball response, and unmatched shock absorption. The SnapSports patented ShockTower® Shock Absorption Technology eases the impact on players’ joints, allowing them to play longer today and for years to come. SnapSports floors are engineered to withstand competition at the highest levels, making them the top choice of coaches, athletes and facility directors worldwide. “Jam On It and the ‘Big Mountain Jam’ are excited to return to Salt Lake City. Big Mountain Jam is growing every year and SnapSports is a big contributor of our success. 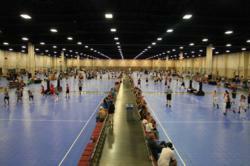 The teams love these courts and the way they play; no other modular sport flooring company can compare to SnapSports. We are looking forward to an exciting, full week of basketball in Salt Lake City.” – Matt Williams, CEO, Jam On It/All Under One Roof. 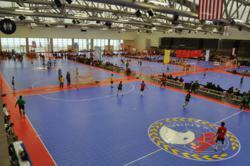 SnapSports® Athletic Surfaces is the official flooring of the 2013 USA Team Handball Club National Championships, to be held May 17-19 at the Reno-Spark Convention Center in Reno, Nevada. SnapSports multi-patented sports surfacing is the preferred tournament surfacing of USA Team Handball and the top performing sports flooring in the industry. “Our Partnership with SnapSports has allowed USATH to grow both in popularity and organizationally. We have had the opportunity to work with other modular floor companies, but we chose SnapSports… their products have outperformed our expectations and we prefer their surfacing over others in the industry.” – Jeffrey Utz, President, USATH. USA Team Handball, the National Governing Body for the Olympic discipline of Team Handball, is determined to energize a growing base of players in the sport and create an all new model for international success. “SnapSports enjoys the continued opportunity to be the Official Surfacing Partner of USA Team Handball. Our multi-patented products provide the traction and control that are crucial elements in the sport of Handball. SnapSports surfacing ensures player safety and keeps athletes performing at their peak.” – Jorgen Moller, CEO, SnapSports, Inc.
SnapSports® Athletic Surfacing is the official sports flooring of AAU Jam On It’s Las Vegas Desert Jam Tournament. 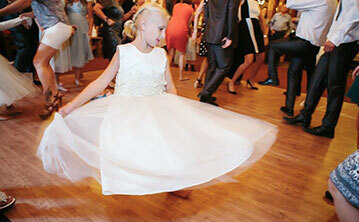 The tournament will take place at the Tarkanian Basketball Academy, May 11-12, 2013, in Las Vegas, Nevada. This AAU Jam On It tournament will showcase boys and girl’s teams, grades 4th – 12th, playing in this Southern Nevada Qualifying Basketball Tournament Series for the West Coast National Championships held in Las Vegas, July 18-21, 2013. The event will include a mix of teams, both local and out-of-town. All teams participating in this series will receive a three game guarantee, with trophies and medals awarded for 1st and 2nd place. 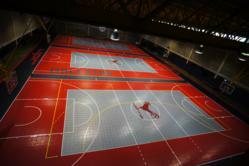 SnapSports® Athletic Surfacing is the top rated modular sport flooring in the industry. 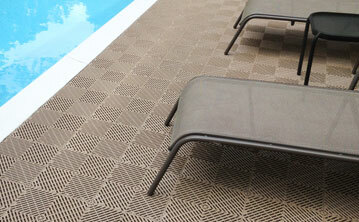 The multi-patented BounceBack® surface offers superior traction and durability. The multi-patented ShockTower® technology also uses an understructure composed of sixteen individual shock absorbers to offer superior shock absorption. This eases the impact on players’ joints, allowing them to play longer today and for years to come. 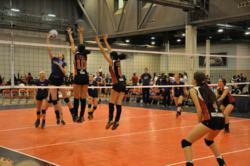 “Our athletes love playing on SnapSports athletic surfacing. 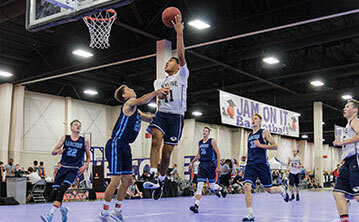 Teams can play upwards of a dozen times during an event and with the incredible structural support and “cush” of ShockTower, the players are never fatigued from floor impacts.” – Matt Williams, CEO, AAU Jam On It. SnapSports® Athletic Surfacing is the tournament flooring for the Annual Junior Volleyball Association’s World Challenge. This AAU Sanctioned event takes place in Louisville, Kentucky, April 12-14, 2013. The event hosts top youth athletes competing in two-day tournament-style play, for which all games will be played exclusively on SnapSports championship volleyball courts. The World Challenge is the only major fundraiser for the Junior Volleyball Association. This year’s tournament will feature competition amongst teams from the United States and Canada. 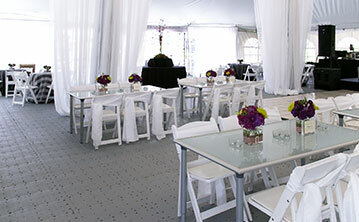 Additional interactive experiences enhance the overall event. The JVA Organization has also partnered with AVCA to host the 2013 AVCA/NCSA College Prep Combine. This partnership gives athletes a chance to build their recruiting profile. SnapSports® Athletic Surfacing, the industry leader in modular sports flooring, is the perfect fit for a tournament of young athletes. The superior shock absorption offered by SnapSports multi-patented ShockTower® Technology, eases the impact on players’ joints and allows athletes to play better, faster, and safer. Therefore, the exclusive multi-patented technology is the reason that SnapSports remains the top choice for coaches and athletes worldwide. The Piedras Campus at the University of Puerto Rico retrofitted their gymnasium with 18,000 square feet of the multi-patented SnapSports BounceBack® flooring with ShockTower® technology. The existing surface consisted of polyurethane over recycled rubber that was tired, worn, and considered unsafe for sports play. ABC Sports, authorized dealer for SnapSports® Athletic Surfaces in Puerto Rico, removed the old gym floor and prepared the concrete to receive new high-tech SnapSports surfacing. The arena is heavily used by students and top athletes for volleyball, basketball and team handball. It is the largest SnapSports project in Puerto Rico to date. SnapSports ShockTower® exclusive patented technology delivers top rated performance and safety. This is done through 16 individual shock absorbers per square foot within the sub-structure of the entire floor. The ‘Shocks’ provide an added level of “cush” to help prevent injury during aggressive play and help reduce impact on players’ joints and limbs. RaceDeck® Garage Flooring, the industry leader in premier modular garage flooring, is set to be featured on Season 3 of the DIY Network’s hit television series, ‘The Vanilla Ice Project’. The show, now a staple on the network, features a Florida home undergoing a massive renovation, turning an outdated fossil into a million dollar mansion. RaceDeck will make its third straight appearance on the series with this episode, airing Sunday, March 31, 2013 at 10PM Eastern Standard Time. RaceDeck is widely recognized as the world’s leading garage flooring manufacturer and supplier, for both commercial and residential installations. The simple, do-it-yourself installation and unmatched durability make it the perfect choice for homeowners looking to give their home garages an easy and long lasting makeover. 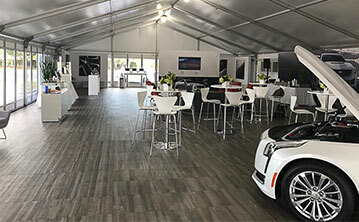 The invention of RaceDeck Garage Flooring pioneered the modular garage flooring industry that you see today. RaceDeck is the ‘original’ modular garage flooring company. Host of ‘The Vanilla Ice Project’, 90’s pop icon Vanilla Ice (aka Rob Van Winkle), and his crew bring over 15 years of experience in home renovation to the small screen, in the DIY Network Series. Taking this Florida home apart room by room, the team transforms this house into a prime piece of Florida real estate. 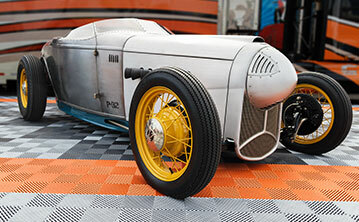 This includes a complete garage overhaul, where the new-and-improved garage will feature premium RaceDeck Flooring. 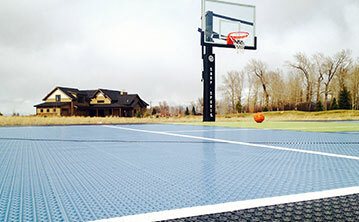 SnapSports®, the world’s leading manufacturer of modular sports flooring and outdoor game courts, will provide all official sport surfacing for the 2013 AAU ‘Jam On It’ Las Vegas Shootout Basketball Tournament March 23-24. Participating athletes will compete on SnapSports multi-patented Indoor BounceBack with ShockTower® floors, designed to deliver superior performance and reduce impact to player joints using shock absorption technology. Hosted by Jam On It – All Under One Roof Tournaments, one of the premier tournament event operators in the country, The Las Vegas Shootout will take place at the Tarkanian Basketball Academy in Las Vegas, Nevada. The event will also host boys and girls, 4th grade through varsity, for two days of intense competition. The Jam On It – All Under One Roof organization, has been hosting top level AAU Sanctioned events for over 15 years and takes pride in their commitment to quality and athlete safety, making SnapSports® the clear choice as the Official Basketball Flooring for all tournaments. SnapSports® Athletic Surfaces offers the premier modular sports flooring and outdoor multi-courts on the market today. Engineered specifically with performance and safety in mind, SnapSports ShockTower® surfaces provide superior shock absorption through patented technology ensuring longer and safer play. Unmatched traction, ball response and durability therefore make SnapSports the top choice of athletes, coaches and facility managers worldwide. “SnapSports continues to support the sport of basketball and encourage youth athletics through our partnership with the AAU Jam On It organization. We welcome the opportunity to provide a superior playing surface on which these young athletes can safely compete.” – Jorgen Moller, CEO, SnapSports, Inc.
SnapSports®, the world’s leading manufacturer of modular sport flooring and outdoor courts, features on the upcoming episode of DIY Network’s Hit Series, The Vanilla Ice Project, set to air Sunday, February 24, 2013 at 10PM Eastern Standard Time. 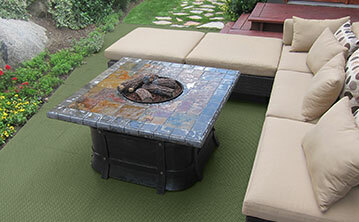 The episode includes a complete renovation of a backyard space with the install of SnapSports backyard multi-game court. 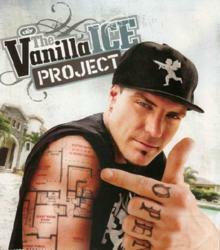 The Vanilla Ice Project follows the 90’s pop icon and his crew of contractors as they conduct a massive room-by-room home renovation, transforming the less-than-impressive space into lucrative real estate. Sunday’s episode of the hit TV series, now in its third season, will feature a full backyard renovation. The crew will replace an old, washed-out tennis court with a world class multi-court using SnapSports® patented outdoor sports surfacing. “We turned an old, rotten and cracked tennis court into something new with state of the art technology. 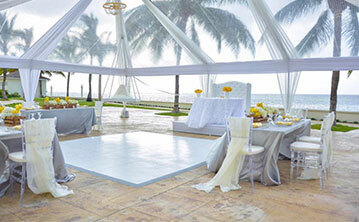 If you want the best, then this is the court for you.” – Rob Van Winkle, Vanilla Ice Project. 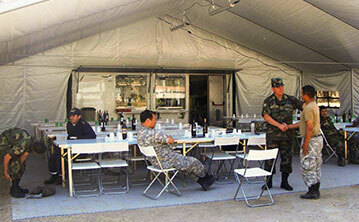 SnapSports® outdoor game courts are the safest and most durable outdoor multi-courts on the market. SnapSports surfaces are Built for Life™, engineered to withstand the elements throughout every season, delivering healthy fun to families worldwide. Patented SnapSports Athletic Surfaces provide a versatile and seamless surface for a wide range of sports. SnapSports advanced products include BounceBack® , DuraCourt®, and the BounceBack ShockTower®, the most shock absorbent outdoor surface. “We’re excited for the opportunity to continue our relationship with the DIY Network and the Vanilla Ice Project by having an all-star home court installation for this incredible backyard remodel.” – Jorgen Moller, CEO, SnapSports, Inc.
SnapSports® Athletic Surfaces, the industry leader in modular sport surfacing and official flooring of the U.S. Futsal Federation (USFF), is the exclusive sports surfacing of the organization’s Northwest Regional Championship. The USFF Sanctioned Championship Northwest Regional Tournament will be held in Hayward, California, March 8 – 10, 2013. All tournament play will take place on SnapSports multi-patented BounceBack® ShockTower®, the premier surface for the fast paced and aggressive play of Futsal. The U.S. Futsal Federation, governing body of the sport of Futsal in the United States, hosts yearly Regionals and a National Championship. Now in its fourth year of partnership with SnapSports®, these events are played on SnapSports premium athletic surfacing. SnapSports® multi-patented BounceBack ShockTower® flooring is the industry’s leading athletic surfacing. This surface provides superior durability and a patented shock absorbent substructure, allowing athletes to play better, faster, and longer. The ball passing and foot control technique required in the sport of Futsal are never an issue with SnapSports surfaces, thus making it the clear and only choice for the United States Futsal Federation. “We have enjoyed the opportunity, over the last four years to continue our ongoing partnership with the U.S. Futsal Federation. The growth of Futsal in the U.S. is rapidly on the rise and we are excited to contribute to the momentum using our patented sports surfacing.” – Jorgen Moller, CEO, SnapSports®, Inc.